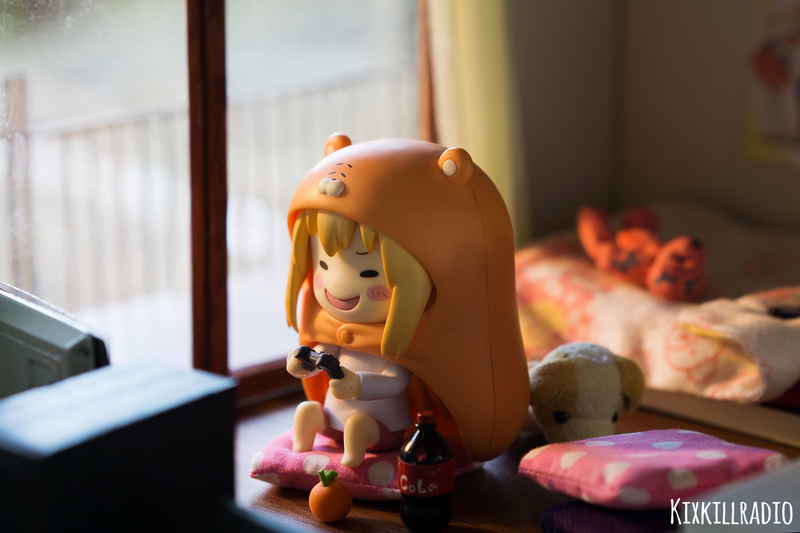 Today, I am showing you how I set up Umaru-chan’s apartment. The reason why I didn’t glue the wall permanently is because I recycle the materials for future projects. Most of my diorama/room sets are made to be assembled so that after shoot, I could just safely remove the parts and keep them in an organizer box. The whole set of Umaru’s apartment was hand made. The wall is made of sheet wood and covered it with printed cream paper. Furniture, window and door were hand made. They are made of wood and pla plates. TV and other food stuff are off the shelf items (Re-ment and Orcara miniatures). Monitor and PS console from Nendoroid Sena. CPU and keyboard are made of pla plates covered with black sticker. Sewing 101 for the pillows! These are the books and Manga. I will make a separate tutorial for this.